A simple yet very effective gift. 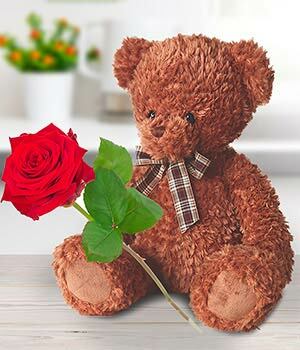 A charming 50cm high teddy bear with a stunning single red rose delivered directly to the love of your life. The bear comes in one of three colours (white, brown or beige) and will be delivered with love and care.